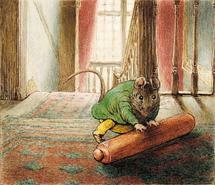 Beatrix also wrote imaginatively about her pets. She and Bertram kept a number of much-loved and intently observed animals in their schoolroom. In addition to rabbits, a hedgehog, some mice and bats, they had collections of insects – all identified and properly mounted – and all were drawn with the same accuracy that would later mark Beatrix as a distinguished naturalist. Although Potter had sold some of her artwork for greetings cards and illustrations in the early 1890s, she devoted most of her energy to the study of natural history – archaeology, geology, entomology and, especially, mycology. 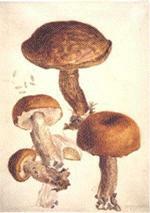 Fungi appealed to Potter’s imagination, both for their evanescent habits and for their coloration. Encouraged by Charles McIntosh, a revered Scottish naturalist, to make her fungi drawings more technically accurate, Potter not only produced beautiful watercolours, but also became an adept scientific illustrator. By 1896 Potter had developed her own theory of how fungi spores reproduced and wrote a paper, ‘On the Germination of the Spores of Agaricineae’. This was presented to a meeting of the Linnean Society on 1 April 1897 by one of the mycologists from the Royal Botanic Gardens, Kew, since women could not attend Society meetings. Her paper has since been lost. 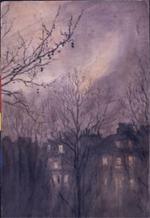 1905 Beatrix and Norman Warne became unofficially engaged but Potter’s parents objected to her engagement because the publisher was ‘in trade’. Sadly, Norman died of leukaemia only a month later. But Beatrix proceeded with plans to buy Hill Top Farm, a small working farm in Near Sawrey, a Lake District village then in Lancashire. The farm became her sanctuary, a place where she could come to paint and write as well as learn farm management. 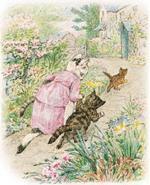 Some of her best books, such as The Tale of Tom Kitten (1907), The Tale of Jemima Puddle-Duck (1908) and The Tale of Samuel Whiskers (1908), reflect her delight in the old farmhouse and in farming life. Four years later, in 1909, Beatrix purchased Castle Farm, a second property in Sawrey just across the road from Hill Top. Her ambition to own land in the Lake District and to preserve it from development was encouraged by William Heelis, a local solicitor. In 1913, at the age of forty-seven, Beatrix Potter married Heelis and moved into Castle Cottage on Castle Farm. Becoming deeply involved in the community, she served on committees to improve rural living, opposed hydroplanes on Lake Windermere, founded a nursing trust to improve local health care, and developed a passion for breeding and raising Herdwick sheep. 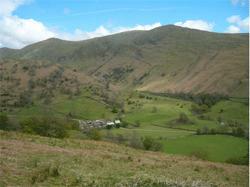 In 1923 she bought Troutbeck Park, an enormous but disease-ridden sheep farm which she restored to agricultural health. She became one of the most admired Herdwick breeders in the region and won prizes at all the local shows. 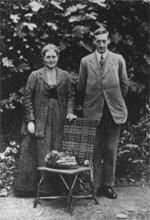 The Heelises were also enthusiastic supporters of land conservation and early benefactors of the National Trust. In 1930 Beatrix became de facto land agent for the Trust, managing some of their farms, as well as her own, over a vast section of the Lake District. Although Beatrix continued to write, her diminished eyesight and her enthusiasm for farming meant that The Tale of Little Pig Robinson, published in 1930, was the last little book. In 1926 she had also published a longer book, The Fairy Caravan, in the United States, but because she thought it too autobiographical it did not appear commercially in England until nine years after her death.